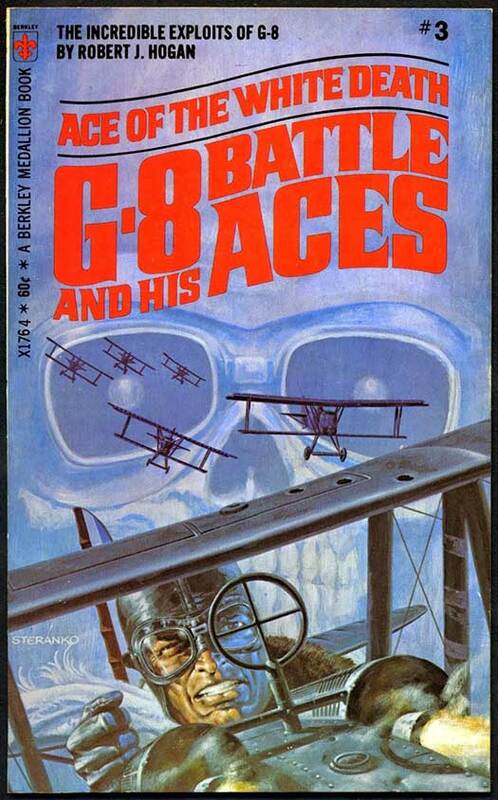 ...Popular Publications' G-8 and His Battle Aces was a bit of an anachronism since the series was set during World War I! 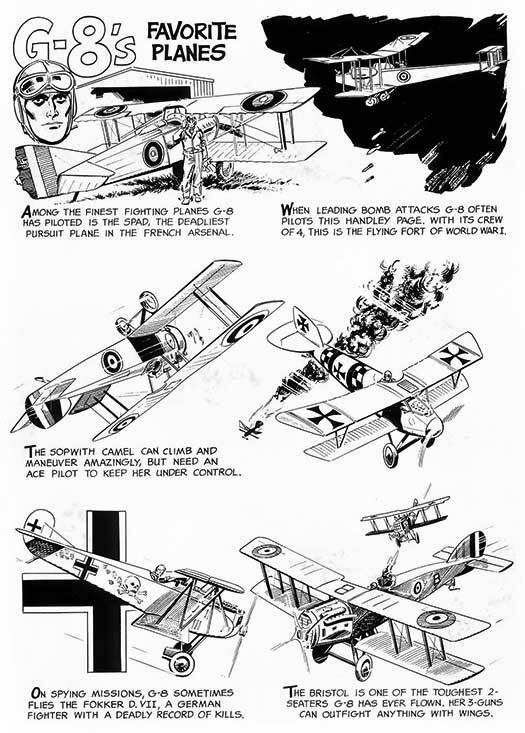 While such titles about aviators from "The Great War" were not uncommon during the pre-World War II period, they were mostly typical wartime adventures. 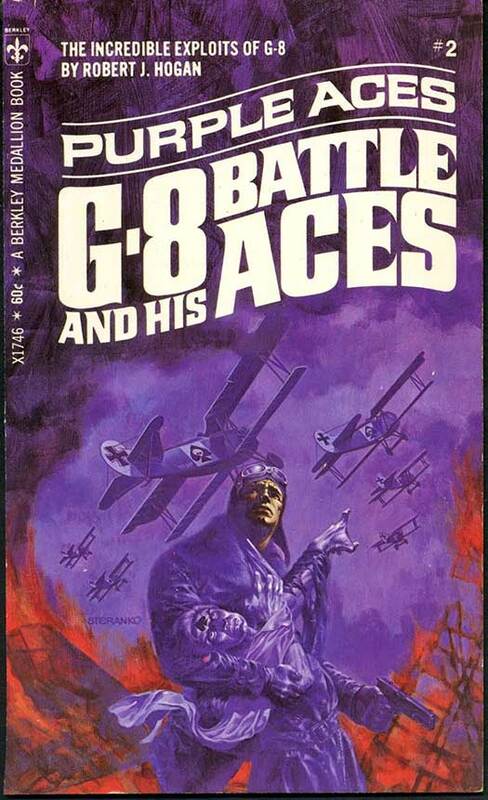 But only G-8 featured a near-superhuman hero with a team of diversely-talented pilots and aides battling fantastic foes over the skies of Europe. Running 110 issues from 1933 to 1944, all written by creator Robert J Hogan, the series had both sci-fi and horror-fantasy tales, mixing genres as the author saw fit! 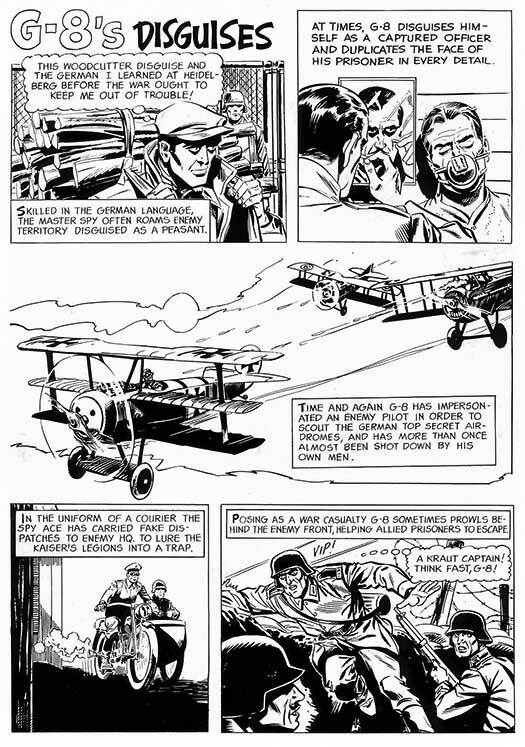 In 1970, due to the success of Bantam Books' Doc Savage reprints, Berkley Books reprinted the first eight G-8 tales, with the first three reprints using new Jim Steranko art, which we're presenting here. 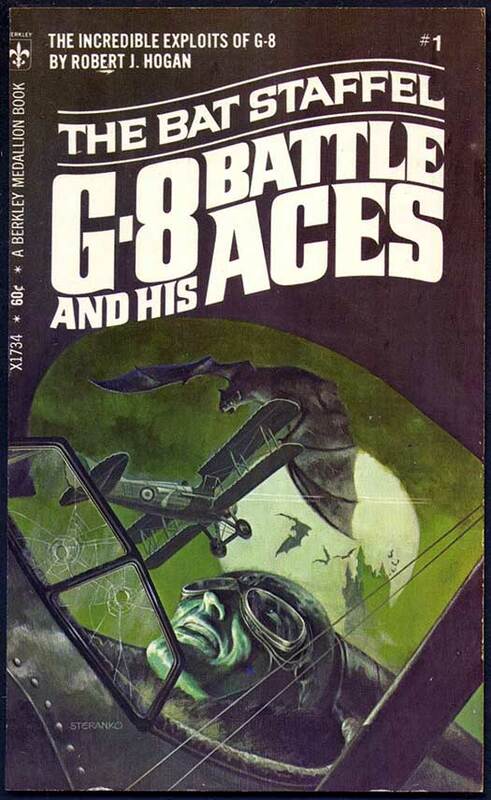 Unfortunately, G-8 met the fate so many other pulp reprint series (except for Doc and The Avenger) experienced during this period...cancellation! The story we'll be running starting tomorrow was published before the paperback reprints hit the stands. In the mid-1960s, Gold Key did a number of one-shots to "test the waters" for reviving classic properties. Besides a Doc Savage comic adapting the pulp/paperback novel a proposed movie was based on, GK also did Flash Gordon, Buck Rogers...and G-8! Be Here Tomorrow as the Saga Begins!